First established in 1827, Washington Township Michigan is now home to over 25,000 people, as well as the location of Lincorp/Borchert’s showroom. Washington is a safe, family friendly place to live consisting mostly residential areas as well as parks and golf courses. Washington is also the majority home of the famous Stony Creek Metropark, which boasts of giving its visitors that “up north” feeling without leaving the suburbs. Stony Creek offers camping, swimming, boat rentals, fishing, biking, disc golf, picnicking, etc. There’s almost always something to do at Washington’s Stony Creek. Washington is also the location of Loren Andrus’ historic Octagon House, built in 1860. The house has changed hands over the years and has been used as a social center for the community, a station for the Underground Railway, a restaurant, and a living museum, amongst other things. Currently, it is owned by Friends of the Loren Andrus Octagon House, Inc., which offers tours of the house for a small fee. To learn more about the area, please visit the Washington Township website here. 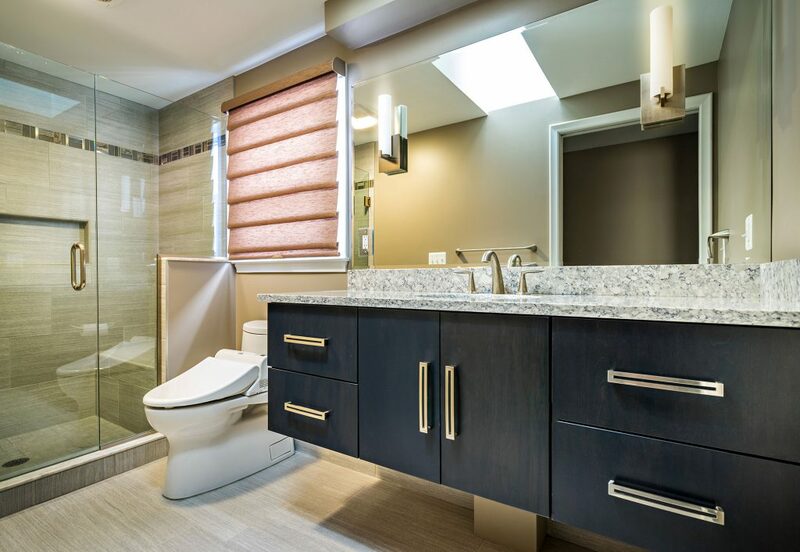 The above photo shows one of our Washington Township bathroom remodeling projects. We tore everything out of the old bathroom and built it up from scratch. The new bathroom features a floating vanity, a new tile floor, a modern walk in shower, and a Kohler toilet. The bathroom went from being cramped and dated to being spacious and beautiful. 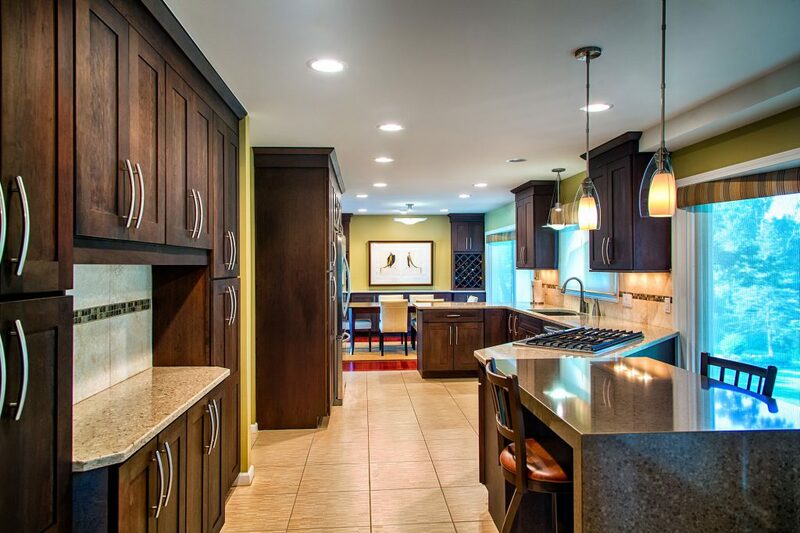 The photo that follows shows a Washington Township kitchen remodel of ours. We tore out the wall between the kitchen and dining room to make space to expand this kitchen. It was once significantly smaller and was in desperate need of a makeover. Not anymore. It now offers much more space for the homeowner to move around, cook meals, and chat with friends.